This article was originally published on NoCamels. Cleaning the toilet bowl is not for the faint of heart. One must usually brave the strong chemicals of cleaning products while wielding a sloppy, germ-infested toilet brush to get the job done. Now, two Haifa-based Israeli entrepreneurs have taken it upon themselves to help people take action against the dirtiest of dumps with just the press of a button. They came up with Toibot, the world’s first motorized toilet bowl cleaning robot. Aiming to rid the world of 90 years of manual toilet-bowl cleaning, Daniel Tokarev, and David Alush have created the full prototype of this battery-powered device that automatically dispenses cleaning solutions inside toilet bowls without a need for human contact. Just a quick positioning of the product’s plastic track around the rim of the toilet, the click of a button, and the gadget will automatically clean the entire inside of the toilet bowl, in full 360-degree fashion. Already dubbed the “Roomba of toilets” by ChipChick, a self-described technology and gadget site for women, Toibot is set to be ready for a market launch by early 2019 for under $79. The device is currently on pre-order and co-founder Daniel Tokarev tells NoCamels that thousands have already registered on Toibot’s official website to buy it. “The vision was to produce convenience and change the unpleasant experience of cleaning a toilet; to make it a more efficient, time-saving and hygienic process that is hassle-free and bacteria-free,” Tokarev explains. 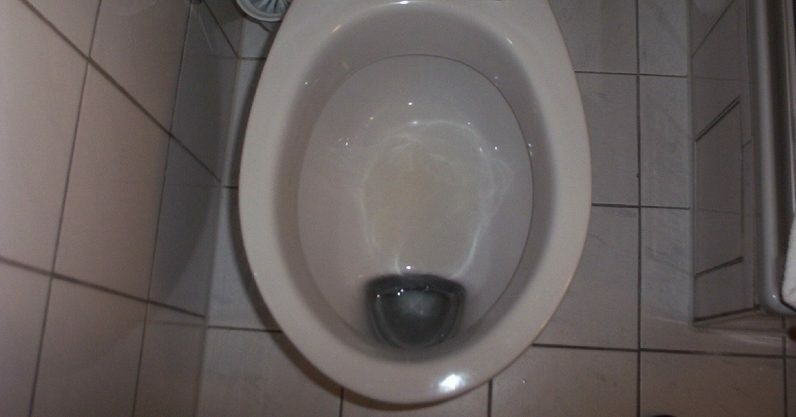 Tokarev tells NoCamels that he and Alush came up with the idea for Toibot in 2013, “completely by mistake.” As the story goes, the friends were watching a TV show about innovation when Alush took a bathroom break and, spotting the toilet brush, pondered its mere existence. “He came back from the bathroom and said, ‘How can it be that we just saw this show [about innovation] and yet, people still have to clean the toilet manually?’” Tokarev explains. Place the Toibot ring into your toilet bowl and with the press of a button, it will automatically clean, disinfect, and polish your toilet. The duo created their solution out of a need to replace the manual method of cleaning toilets. It was also important to them that their product be easy-to-use and fully automatic. More than just a scrubber, the product also offers custom-made capsules that disinfect and polish after a thorough clean. Finding a way to clean bodily waste without touching said waste is probably a dream for most. So why hasn’t anyone developed such products? Tokarev says Toibot had absolutely no competition in its early stages back in 2013, but as the media attention started rolling in, they’ve begun to see other companies come up with their own toilet-cleaning innovations. Still, none of the products compare to Toibot, Tokarev says. The products he has seen are expensive and reach a limited audience. One company that comes close is Loo Blade, a product that touts itself as the world’s most hygienic toilet cleaner – a “reinvented” drip-free, clog-free, germ-free toilet brush for a very cost-effective $41. But it’s not that close, Tokarev points out. “You still have to hold the brush,” he says. His mission is to promote Toibot as an effective cleaner for homes, but also a product that can be used by companies, restaurants, hospitals, schools, and businesses. Tokarev and Alush now have a worldwide patent number for their product, with the patent being recognized in countries like the US, Europe, Australia, and Canada. The pair is working on the development of the device with a team of engineers and designers from Sysmop Technologies, a Yokneam-based company focusing on hardware, mechanical and software engineering projects in a number of industries, including medical and automotive. But they have yet to quit their current jobs — Tokarev works in real estate in Haifa, while Alush is a sales manager in the computing industry. “We spend a lot of time and money on this project, but until we see money from Toibot, we’ll keep our jobs,” Tokarev says. “Once it’s launched in the market, we will dedicate [ourselves to it] full time. There’s no other way to do it. You need to make a living. But you can’t afford to lose your dream,” he says.